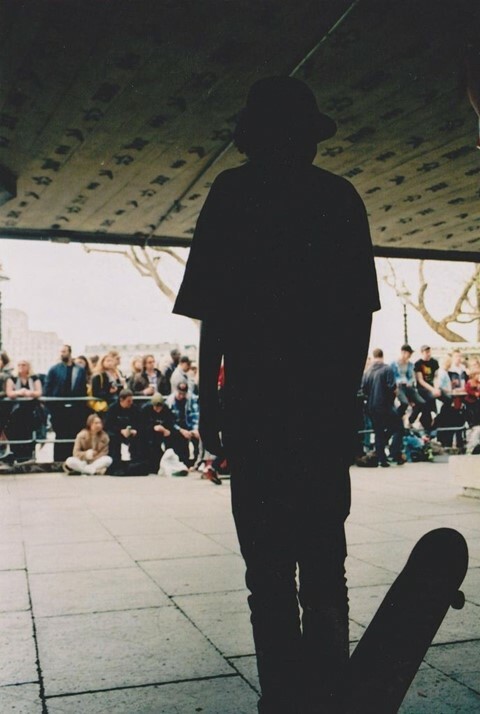 Is the Southbank skate park doomed? You don't need to be a skater to know that the Southbank are hellbent on demolishing the Undercroft, its historic skatepark, to make way for more commercial eateries and rent-a-chain coffee shops. The refurb is all part of a £100 million redevelopment to extract more money out of the unused (in retail terms, at least) space of the London Southbank Festival Wing. As part of the project, Southbank were intending to relocate the skatepark to a planned location underneath nearby Hungerford Bridge - plans for the proposed area have already been submitted. Unfortunately for the Southbank, the skateboarding community isn't going down without a fight - numerous campaign groups have sprung up to save the skatepark. But there are signs that the Southbank's patience is wearing thin. 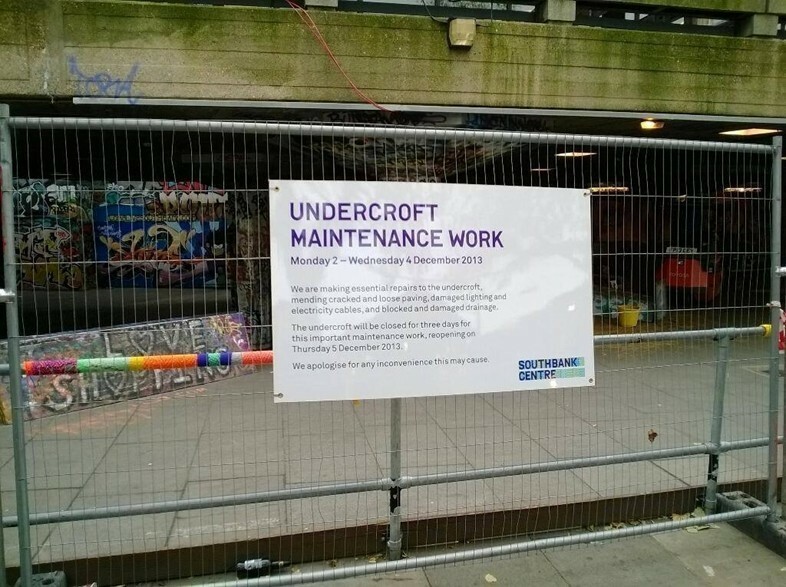 Last week, Long Live Southbank, one of the major campaigns in the movement, noticed that construction barriers had been erected around the Undercroft, cutting off access to the area. A warning sign on the barriers informed the public that the Southbank had shut the Undercroft for essential maintainence. Another campaign group, Save Our Skatepark - London South Bank, discovered a planning notice for a new skatepark tied to a fence underneath Hungerford Bridge. Some skaters take these as warning signs that Southbank is finally playing tough with the Save our Southbank campaigns, which have all enjoyed high levels of public support. The David vs Goliath story of skaters vs faceless London authorities, after all, is never one that plays out well with the public. In an attempt to dispel the negative PR, the Southbank has even reportedly started to distribute leaflets to all skate parks. Did u know Southbank Centre are sending people to leaflet skate parks in/around London tellin CHILDREN 'we're building a better skate park'? "The land grab has started!" one Long Live Southbank user noted on Facebook. "The Southbank Centre are flexing their muscles and reminding people that they are the legal owners of the Undercroft!" The skatepark remained closed until four days ago. Artist and skateboarder Skylon, who runs the Save Our Skatepark campaign, believes the two incidents are linked. "I feel it is no coincidence that the Undercroft was closed off just days after this new planning application was submitted to Lambeth Council," he says. "I believe that they did conduct repairs on the undercroft, but we do not fully trust anything that the Southbank Centre does any more, given their track record....and I believe that if we weren't all keeping a watchful eye on these works, they could have kept the Undercroft shut until the planning application for the new skate space went through." If the Southbank were hoping the planning permission would go through without a fight, they're sorely wrong. At last count, over 800 objections have been lodged with Lambeth Council over the new planning application in the past week alone. The long-running Change.org petition, meanwhile, has gained over 60,000 signatures.